Higher elevations (those above 4,500 feet) along the Blue Ridge Parkway are already seeing pretty shades of gold and red dotting the landscape, with wildflowers and mountain ash berries complimenting the fall color palette. 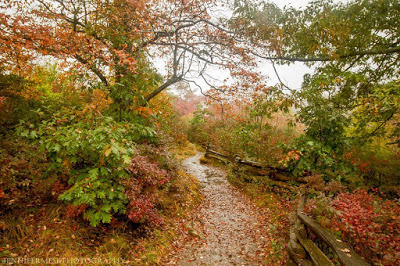 Note: This has been a particularly rainy week in the mountains around Asheville, so fall color hunters have had a bit of a challenge getting to all the choice spots along the Blue Ridge Parkway, which can be really, really foggy during rainy weather. But once you reach these destinations, you may be able to catch a clear spot. And the extended forecast looks to be more reasonable going into next week. Linville Falls: It’s the highest volume waterfall in North Carolina, so you know it’s going to look spectacular after several days of rain! Be careful on the trails around Linville Falls as they can be slippery in inclement weather. 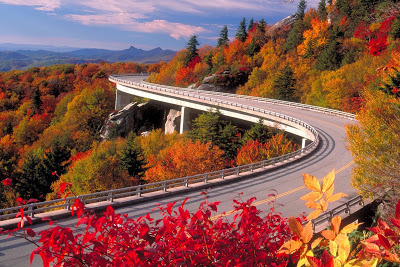 Our preferred route to Linville Falls is via Hwy 221 north of Marion to the Blue Ridge Parkway. If rain is hampering your views, stop in to the Linville Caverns for an alternative afternoon of fun. Linville Falls Winery and the English Farmstead Cheese store are also right there on Hwy 221. And just two miles south of Linville on the Blue Ridge Parkway is one of our favorite overlooks, Chestoa View, and the Chestoa View Trail, which look out over Linville Gorge. 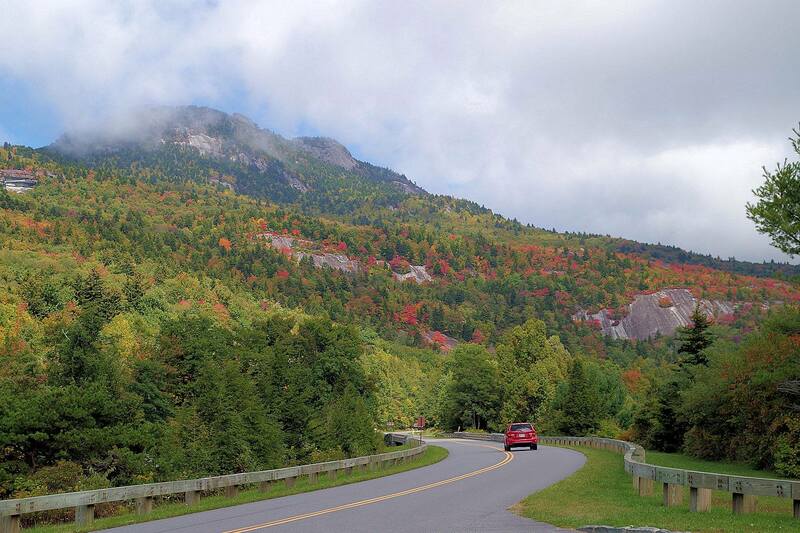 Grandfather Mountain: A state park and nature preserve, Grandfather Mountain is close to Linville Falls and color has been progressing rather nicely there this week. You must pay a small fee to enter the park, which provides access to a beautiful meadow, several hiking trails, wildlife habitats and more. Be warned that weekend crowds in the fall are very heavy. Other hiking options in the area include Linville Falls and Linville Gorge, and the drive around Grandfather Mountain on the Blue Ridge Parkway’s Linn Cove Viaduct is pretty awesome, too. Graveyard Fields: This is a unique spot — a valley at 5,000 feet above sea level with higher peaks around it. Graveyard Fields gets its name from tree stumps that used to be in the valley. 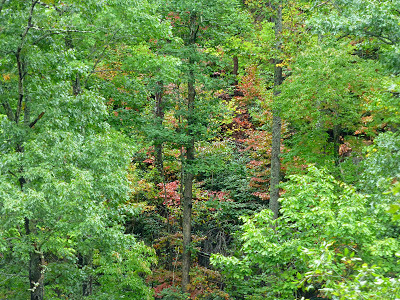 Now, there are trees and shrubs, boardwalks and trails, two waterfalls, and best of all, fall colors! Graveyard Fields, south of Asheville and Mt. 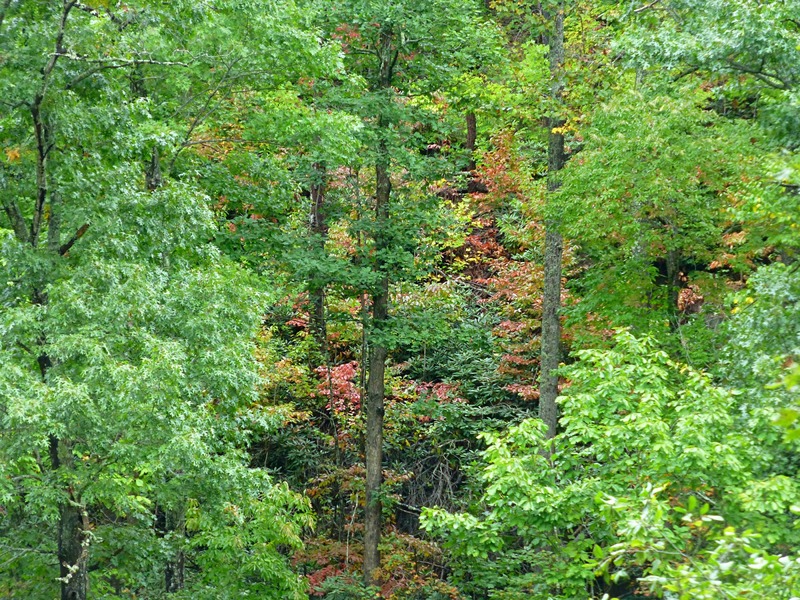 Pisgah, is one of the first places in the region to see changing leaves every year. 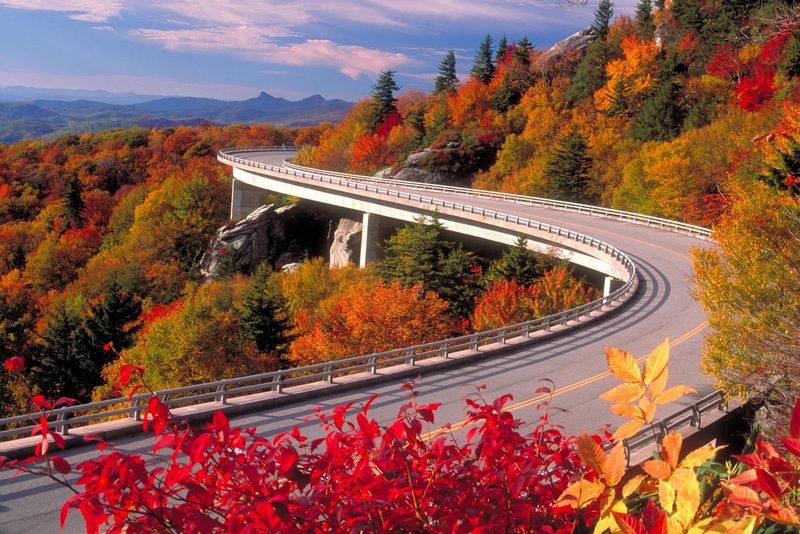 This entry was posted in Fall Color Reports and tagged Asheville, Blue Ridge Parkway, fall foliage, Grandfather Mountain, hiking, waterfalls by Inn on Mill Creek. Bookmark the permalink.